Mrs May is expected to put her Withdrawal Agreement package to a third "meaningful vote" in the Commons - assuming that Speaker John Bercow accepts that her motion is fundamentally different from those defeated by 230 votes in January and 149 in March. The prime minister, in a live televised speech from Downing Street after her Brexit delay request, told the British people nationwide that "I am on your side". "Appalling and pathetic performance from the Prime Minister", he tweeted. "Today was a long seven hours that bought us two weeks", another European Union diplomat said. "The referendum result must be respected and there must be no attempt to undermine the democratic will of the people". Labour's Brexit spokesman Keir Starmer said her move not to delay votes was "the height of irresponsibility and an admission of failure". Mr Tusk has indicated the EU27 could agree an extension in principle, subject to Mrs May getting her Withdrawal Agreement through Parliament next week. 'If there is such a need, I will not hesitate to invite the members of the European Council to Brussels next week, ' he said. "You're exhausted of the infighting". Exhausted of MPs talking about nothing else but Brexit when you have real concerns about our children's schools, our National Health Service, knife crime. "Now is the time for parliament to decide". This will possibly be the final participation of a British prime minister in a summit as one of the 28 European Union leaders. European Commission president Jean-Claude Juncker said Britain's future would be "in the hands of God" if MPs would not back the deal, adding: 'I think even God sometimes reaches a limit to his patience'. Upon her arrival in Brussels, Mrs May spoke formally about her mission and said: "I am here to discuss with fellow leaders a request for a short extension to June". 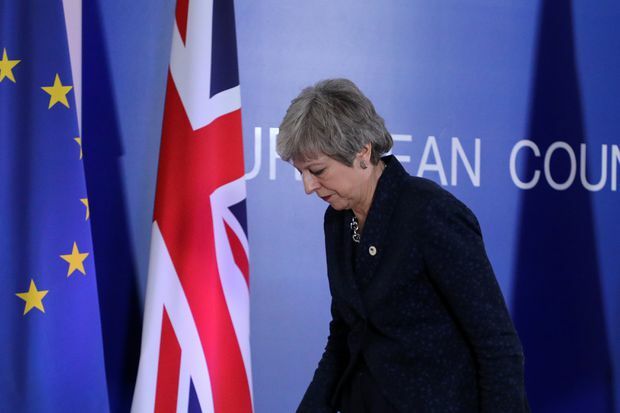 Earlier on Wednesday, the United Kingdom prime minister formally requested a three-month extension to the Article 50 process in a letter to Tusk stating that she was "confident" that the House of Commons would back the deal which it has twice rejected. He appeared to acknowledge the difficulties facing her, describing the hopes of success as "frail, even illusory". "We have reacted with patience and goodwill to numerous turns of events, and I am confident that, also now, we will not lack the same patience and goodwill, at this most critical point in this process", Tusk concluded. European Union leaders warn that Britain is heading towards a no-deal Brexit. Below please find the leaders' comments on Thursday before arriving to the talks. Independent legislator Chuka Umunna and others supporting a second Brexit referendum estimated the crowd at 1 million. May will "have to indicate a way forward before this date for consideration by [EU leaders]", the leaders said in a statement. "It is high time we made a decision" over Brexit, May said, passionately asking MPs to back her Brexit deal, which was rejected twice in the parliament since January.